Here's an update of the XLF comparative study from after the close today. 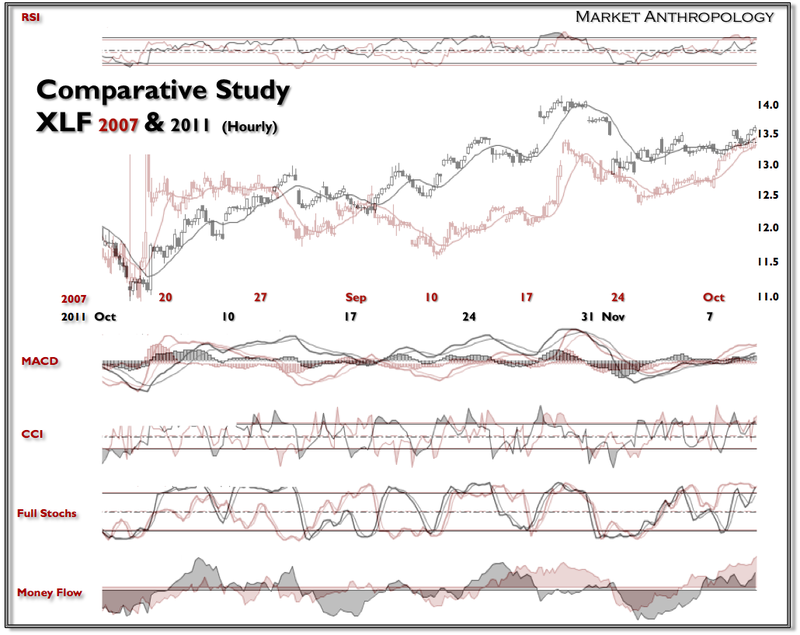 While the market followed the script of strength over the past two sessions, it was actually weaker than I anticipated. 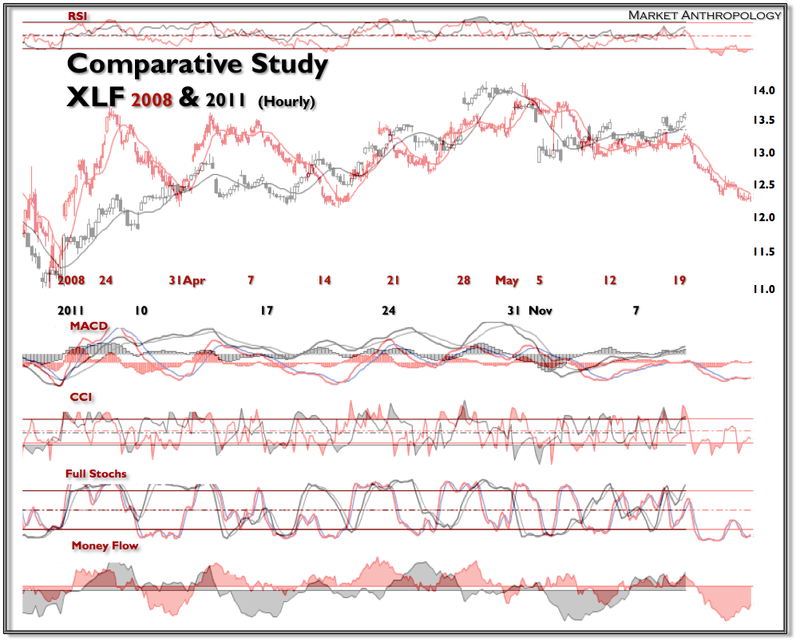 Perhaps tomorrow it will fulfill the proportion of the analog, but there were more than a few cracks in the markets short term technical picture that it looks increasingly unlikely. For that reason, I included an additional study that is a little further down the road in the financial crisis - where the rebound failed to exceed the previous highs.